Davis, Calif. is known for being an agriculturally rich college town. 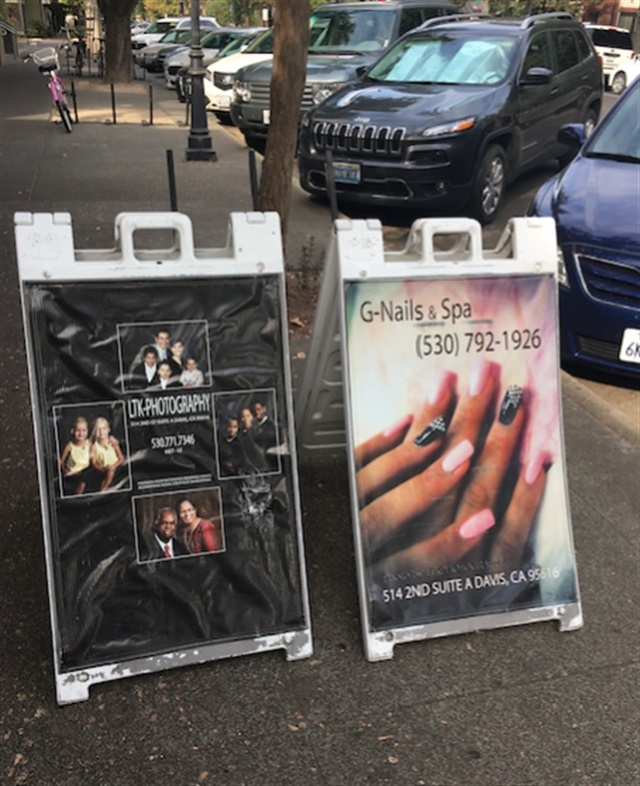 G Nails & Spa thrives on the business from UC Davis students. 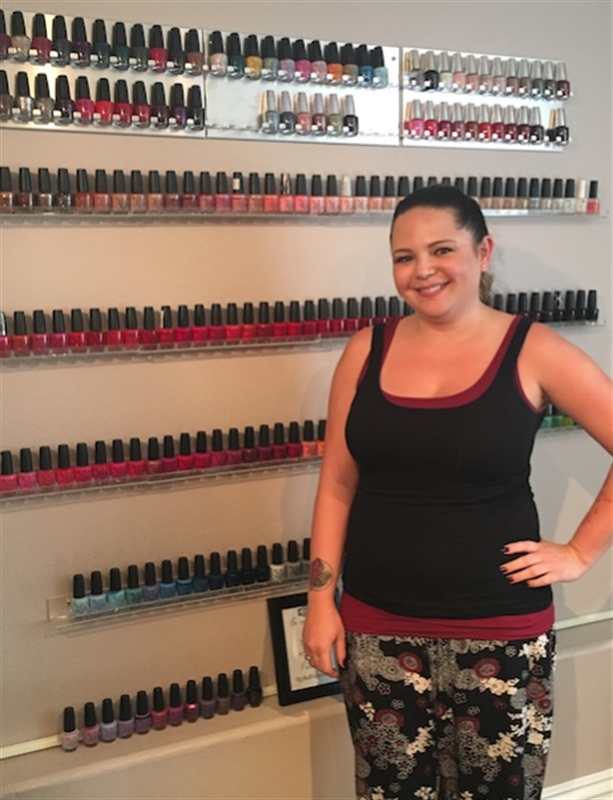 They may be one of few nail salons that count summer as slower months compared to business during the school year. 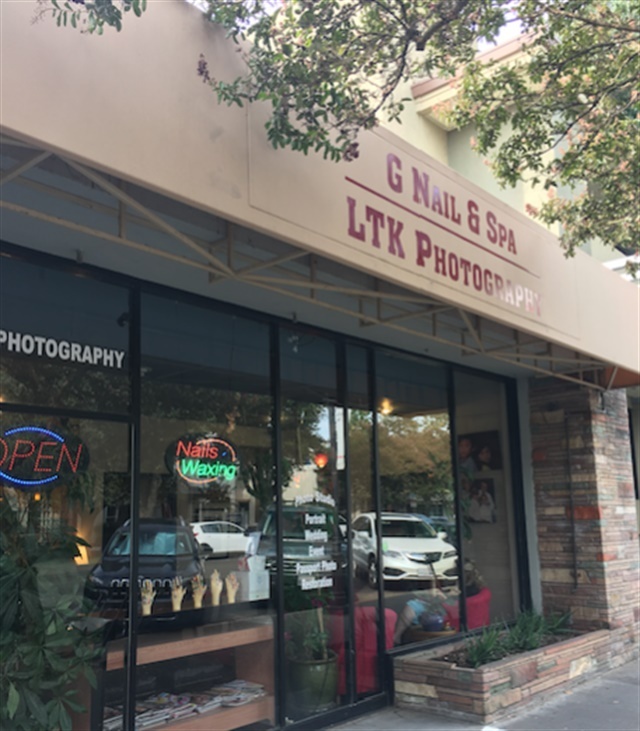 Owners Tina and Kiet Le own G Nails, which is known around town for more than just nail services. Kiet’s photography studio is located in a room inside the salon and is known as LTK Photography. Photography services such as family portraits are advertised side-by-side with the salon’s offerings. The set-up is ideal, especially for wedding parties who are in search of both photography and nail services. Kiet’s pictures line the walls of the salon. In fact, he brings me a copy of Friday’s Daily Democrat newspaper, featuring an article on him. I learn from the story that his work has been featured in Entertainment Weekly and been picked up by the Associated Press. Yet, he remains humble and does nails to help his wife when things get busy. Dip systems in natural colors are big at the salon. 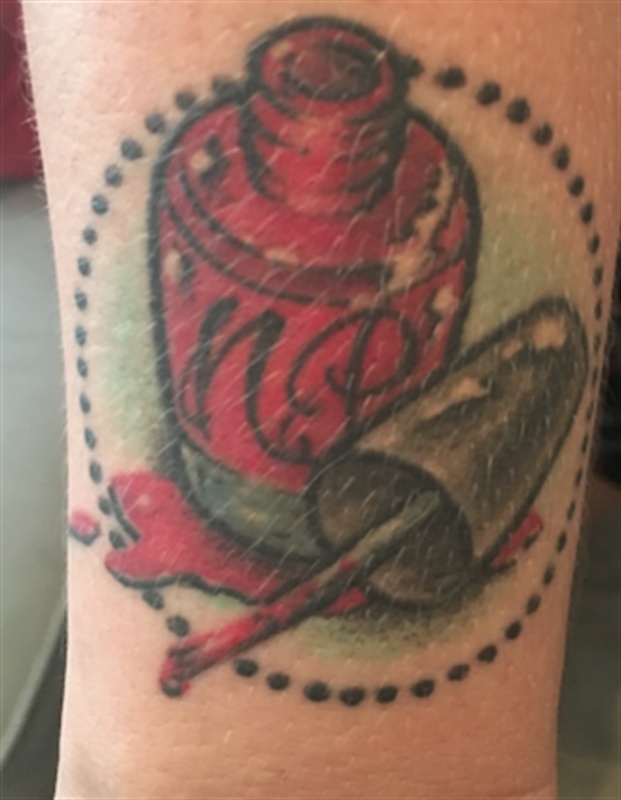 Le says he doesn’t so much like the color dip systems and looks forward to possibly owning some nail machinery (like a polish-mixing machine or art design kiosk). 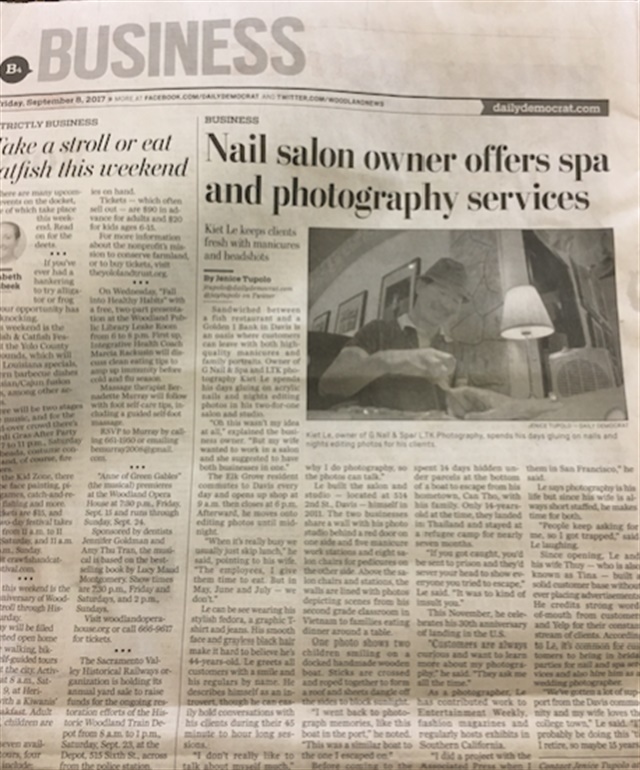 For now, manicures, pedicures, and photography make up the heart of the salon’s business. G Nails has cool airbrushed-looking flowers on the floor, making pedicures all the more desirable to photograph. The art on the floor comes as no surprise, as Davis is an artistic town. A walk around reveals galleries and sculptures made out of recycled materials. 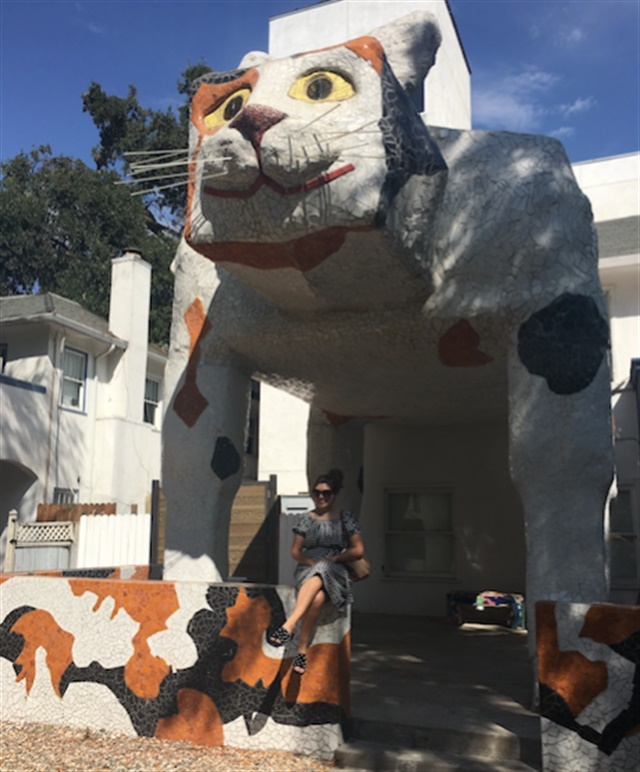 I even took a moment to pose with a larger than life Calico before heading to my next appointment in Sacramento. 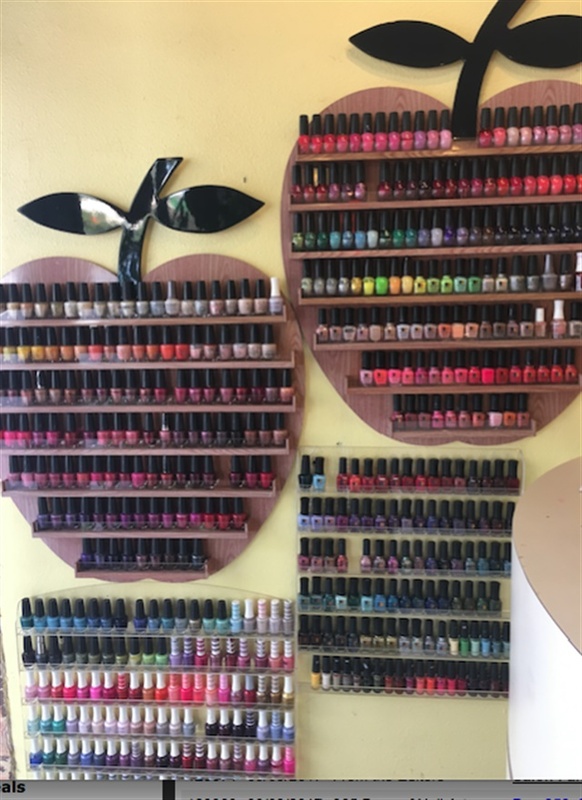 Back on the road again, I returned to mid-town Sacramento, this time to visit Nail Purist. I drove by what looked like a home and parked on the street. Sure enough, four signs hung from the side of the house-like building. 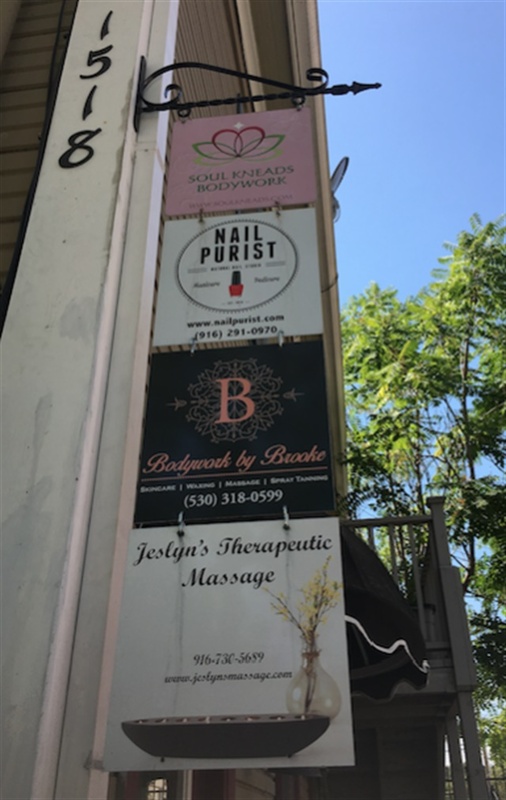 Each sign advertised a different beauty/wellness business. Nail Purist’s signature red bottle of polish stood out, and I made my way to the front door. The inside waiting area was the exact opposite of the busy city outside. A serene room with plush furniture, magazines, a coffee bar, and skincare items for sale awaited clients. The spa-like interior even had candles lit to welcome guests. Nail Purist co-owner Melissa came out and greeted me. 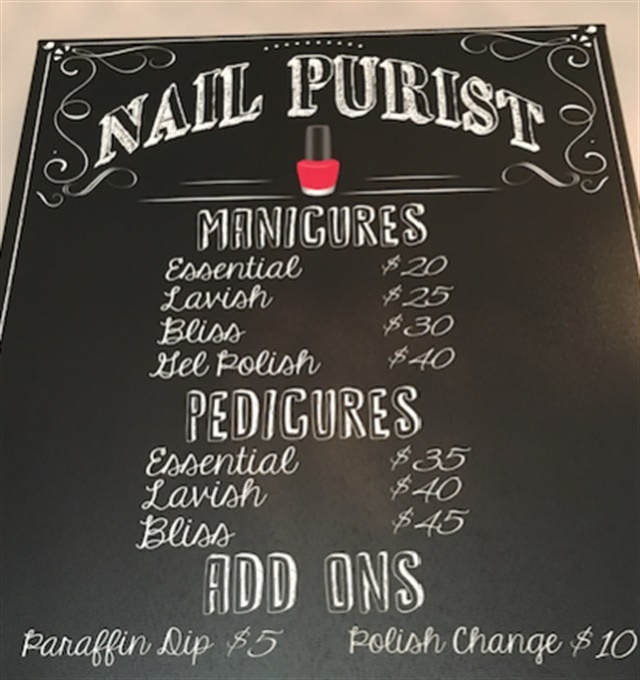 Nail Purist is really one room inside the beauty/wellness hub. While the outside looks like a house, it’s actually a business space where different operations occupy different rooms and apartments can be found upstairs. I ask if any of the tenants have stopped in for services yet, to which Melissa replies that they haven’t. She does say, however, that all the businesses refer each other and share clientele – a definite perk of the location. Melissa and her business partner have just celebrated two years in business. While Nail Purist is only 2, she has done nails for 18 years. She has commemorative polish tattoos celebrating her 10 year anniversary and Nail Purist’s opening. When the two opened their doors they had a housewarming party, welcoming locals to drop in. “We got a lot of frat guys, surprisingly,” says Melissa. She is currently pondering her next event. The space lives up to its name, with OPI purely dominating the service menu. Everything from gel-polish to longer-lasting polish, to lacquer, lotion, and the lamp is OPI. IBX is the only other type of service treatment available outside of a manicure, pedicure, or nail art. When not doing nails you can find Meissa at her other job – IT consulting. But her love for nails and the soothing space in which she works are purely enjoyable. 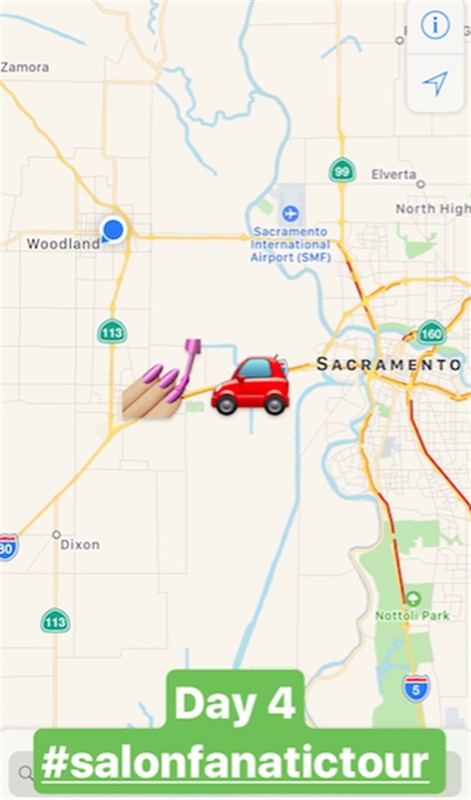 It would probably take me months to tour all the amazing salons Northern California has to offer, but it’s time to branch out.